Available with no onward chain, this five bedroom end-terrace house has so much potential. 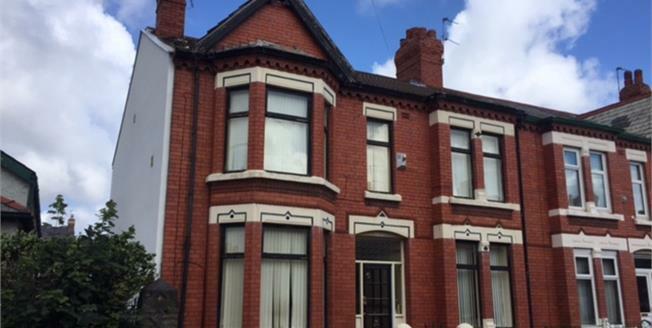 Ideally located in a popular residential area of Wallasey close to local amenities, services and transport links, this property comes with the added benefits of gas central heating and double glazing. In brief, the accommodation comprises of an entrance hall, three reception rooms, kitchen with access to the rear yard and a shower room to the ground floor. To the first floor, there are five bedrooms and a family bathroom.